This is not your ordinary CSBFS post. Instead, how about a fun flashback to the 1980s? Here is a quick list of some great hardware from the 1980s listed for sale today. If you missed your chance then, now is a great time to pick up that memory! 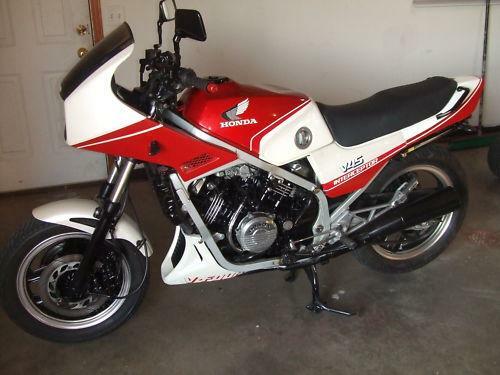 First up is a 1982 Suzuki Katana. This 1000cc beast was the sharpest stick of the day. Today these bikes continue to be rare – especially in unmolested condition. 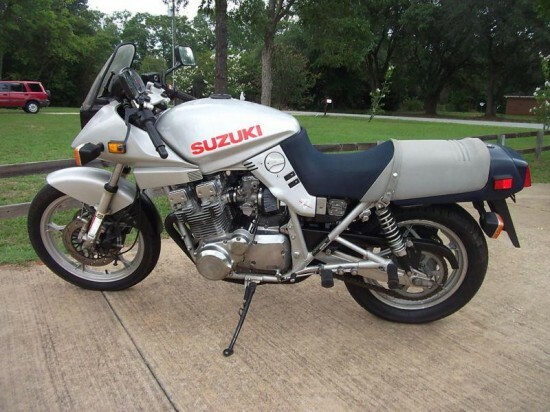 This one has but 8,243 miles on it, and looks pretty stock except for the Yoshimura exhaust. 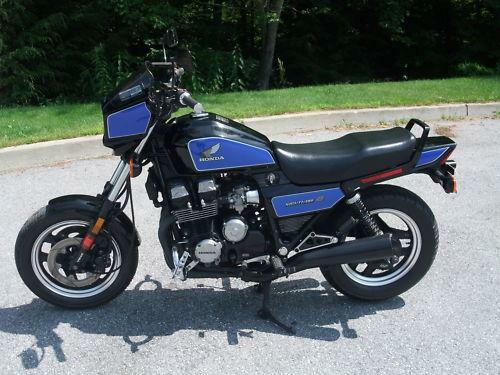 Next up is this nice 1983 Honda V45 Interceptor 750. The interceptor was THE 750 to have back in the early 1980s, as the competition was still playing with in-line 4 cylinder air cooled dinosaurs. The slick V45, with its liquid cooled V4 and GP-inspired 16″ front wheel really pushed the evolution of the 3/4 liter sportbike. This one looks very clean indeed. If the 1000 or 750 doesn’t do it for you, how about 1000cc power in a 750 package? 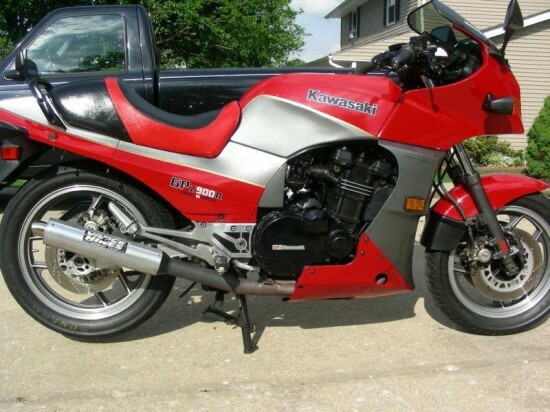 Well that is exactly what Kawasaki introduced with this 1984 Kawasaki Ninja. With 900cc of 16-valve, liquid cooled power, the Ninja was smaller than the GPz750 of the day yet more powerful than the GPz1100. It was a revolutionary motorcycle that changed the way we look at sportbikes. This particular example is not 100% original but looks like a clean rider. While not designed as a bespoke sportbike, this 1985 Honda Nighthawk S can certainly embarrass one when the going gets twisty. Designed as a sporty “standard,” the Nighthawk’s upright seating position, willing in-line four cylinder engine, shaft drive and 16″ front wheel combined to form one of the best “all around” motorcycles of the day. This particular model has only 8,562 miles on the clock, and looks fantastic. Yes, it is the emasculated 700cc version from the tariff years, but it can still do the job. 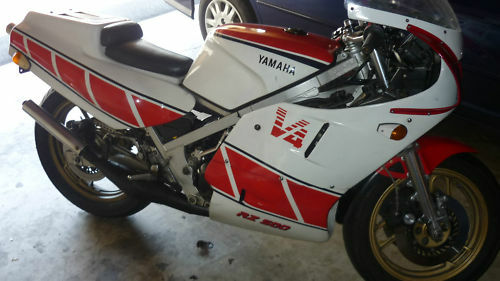 And what 1980s medley would be complete without a two stroke? This 1985 Yamaha RZ500 will rip through your favorite canyon all while blasting the neighbors with the soundtrack of a quartet of angry chainsaws. Sure the noise and the smoke are a little anti-social these days, but inside the helmet you are King Kenny Roberts holding off Freddie Spencer for the win. This particular beauty is California plated and titled. You can read more about it on RSBFS. I hope you had fun with this abbreviated format. There are a LOT of great classics out there – and some are right under your nose! Our regular CSBFS posts will continue to bring you in-depth information about certain models, but every once in a while it is fun just to browse. Make sure you tell ’em you saw it on CSBFS! 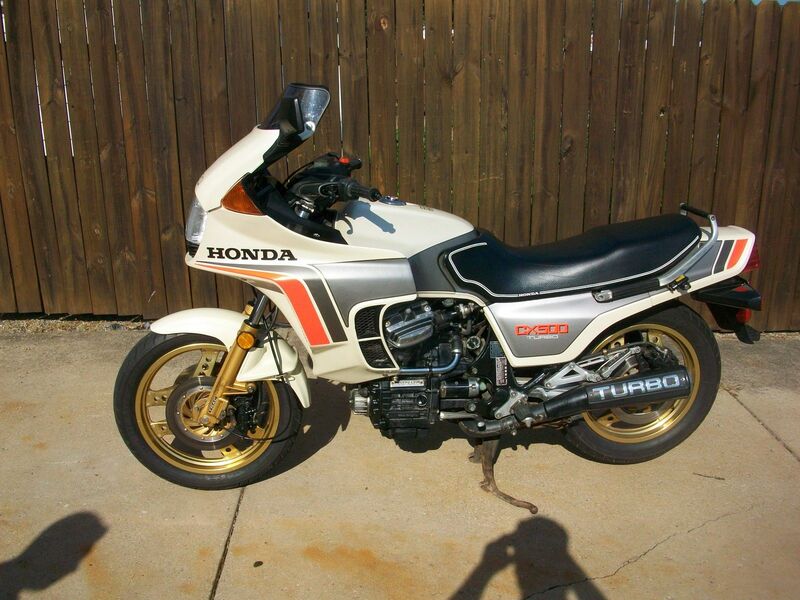 1982 Honda CX500T for sale in Ohio with only 8,300 miles!